Home › brisbane › First Pilot Session – Great Success! First Pilot Session – Great Success! 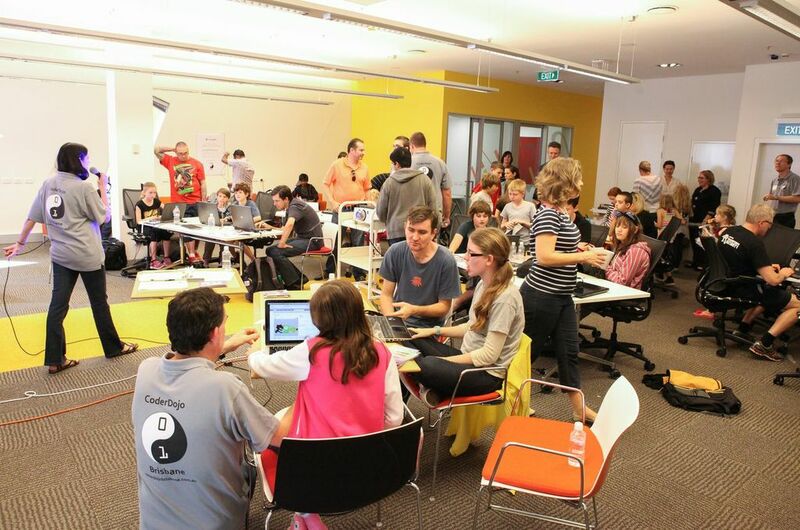 CoderDojo Brisbane’s first pilot session ran successfully on Saturday afternoon. A room of positive and enthusiastic energy was created by 10 Mentors, 23+ kids and parents. Molly Taylor of Code Heroes facilitated the day, with Brendt Sheen providing an overview of Scratch to the whole group. This kept everyone creatively entertained for most of the session. John Passfield and Peter Laurie then led a small group of more advanced kids in a Codea overview. Various participants gave us all demos of their work during the day, with Oskar winning a Raspberry Pi prize (kindly donated by Code Heroes) for his great demo and enthusiastic collaboration! Thanks again to everyone who made it such a great afternoon, and we look forward to our 2nd Pilot session this Saturday! !